Headstones, foot-stones and memorial markers: What are they, how do you get them, and what are your options? Choosing how to mark your loved one’s grave is a very personal choice. If you don’t have a family plot, you first have to decide how your loved one will be buried before you order the appropriate marker. Traditional cemeteries have different plot sizes – some accommodate multiple family members in both caskets and urns. Before purchasing a plot you need to know what kind of marker the section allows. Some are reserved for headstones, with foot-stones in front, others only allow foot-stones. Typically, headstones are made of stone – granite, slate, limestone, marble, or sandstone. They are durable enough to withstand the elements, while being soft enough to carve. The stones are set upright and the casket is buried in the grave in front. Headstones can mark a single person’s grave, or be shared between loved ones. Sometimes families pay to have the names (such as a spouse) carved into the headstone prior to their death with just their name and birthday, leaving the date of death blank until needed. Some people choose to have an epitaph inscribed on the headstone in addition to the name and dates. An epitaph is a quote, phrase, saying or verse that represents the deceased or the family. Some are chosen by the person while they’re living, while others are picked by the family or loved ones after the death has occurred. Foot-stones are typically smaller than headstones and lay flat on the ground rather than upright. Some sections of cemeteries only allow foot-stones, while other spots allow a mixture. Some plots can have a headstone and foot-stones for multi-family plots. Like a headstone, there is room for the full name of the deceased, the birth and death dates, and even a short epitaph or graphic element. While the traditional rectangular shaped headstone or foot-stone is most common, there are other styles. For example, obelisks and statues (such as angels). Obelisks are tall square columns with a pointed top. It’s fixed on a pedestal for support. Obelisks are typically used in large family plots and are often found in older, established cemeteries, where generations of family members might be buried. 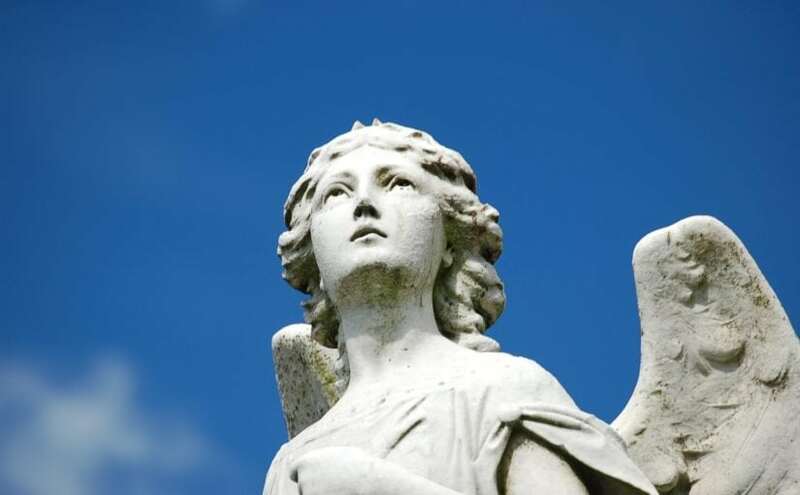 The same applies to statue-style grave markers, such as angels. These cost more, so it makes more sense for them to represent a large family rather than a single person. Some families don’t want loved gravestones in a traditional cemetery or church yard, but still want a dedicated marker for their loved one. Check with your local municipality to learn about the various ways you can memorialize a loved one in the community. Items such as park benches and trees (with a plaque) can be dedicated to the memory of your loved one for a fee. You can also do it in your own backyard with a tree or garden stone. While having a grave marker or memorial plaque is important for celebrating the memory of a loved one, there are other keepsakes available. Speak to one of the helpful staff members at Chapel Ridge Funeral Home and Cremation Centre to discuss the memorial merchandise available. We can also help by putting you in touch with appropriate vendors for your grave marker.